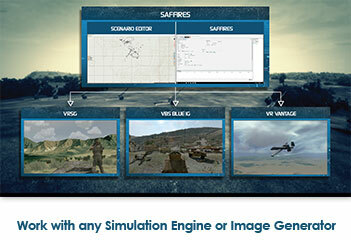 SAFFIRESTM is a standards-based, image generator agnostic, and scalable Call-For-Fire and Close Air Support training simulation suitable for deployment in Joint Fires and accreditable JTAC training simulators. 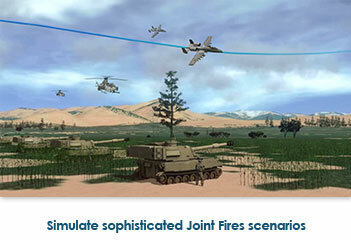 Built upon the same Call-For-Fire and Close Air Support software engine that powers the accredited simulation FiresFST, SAFFIRES delivers the same mature and complete Joint Fires training solution but makes it available for integration with any DIS, HLA or CIGI compatible simulation or Image Generator. Supporting both conventional near-peer and counter-insurgency operational scenarios, SAFFIRES enables JFOs and JTACs to train realistically in a modern complex battlespace against an agile and adaptive adversary. Heightened realism and cognitively challenging training are enabled through the incorporation of non-combatants, urban clutter, UAV surveillance, various close air support platforms and accurate military targeting procedures. SAFFIRES provides a solution for JFO and JTAC training that can be adapted to work with any visual environment though commonly used standards. The system will communicate at runtime through DIS, HLA or CIGI. Terrain is loaded via common standards such as DTED files, shapefiles or OBJ files. The system is scalable allowing a single Instructor to control a training scenario, or the system can be networked with multiple instances allowing multiple instructors to manage training. For example, one acting as the IOS, and the other a pilot role-player. any time, however, training can be conducted without the need for such a pilot. 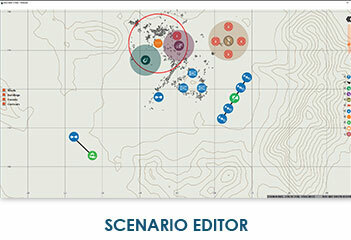 An in-built Scenario Editor, Behaviour Tree Editor and Navigation Mesh generator allows OPFOR and BLUFOR actions and reactions to be crafted to a high level of precision, allowing a rich operational picture within which Joint Fires can be conducted. 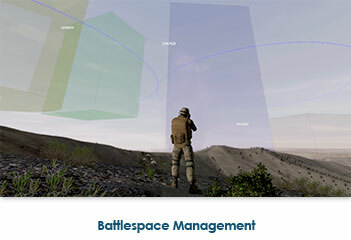 SAFFIRES allows the complete battlespace to be simulated, thereby enabling the Instructor to build Battlespace Management complexities into training. Visual aircraft draw-paths enhance comprehension of deconfliction requirements, with a supporting violation log to attribute accountability to trainees. 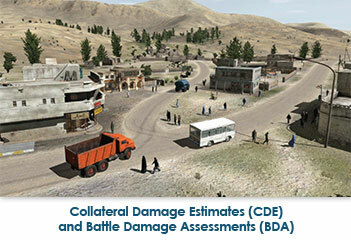 Examples include Fire Support Coordination Measures, through the continual simulation of all aircraft in the battlespace (including routing and holding aircraft), and the detailed ballistics model simulating munitions in flight. Objective summary data from the training instance is then provided, augmented with a rich set of analysis tools. Through the simulation of human and vehicular pattern of life, SAFFIRES provides the Instructor with an easy to use tool enabling more advanced and cognitively complex training by replicating realistic operational Joint Fires operational environment. 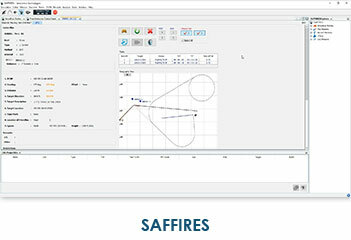 SAFFIRES is purchased on a per-seat license basis. Copyright © 2019 SimCentric Technologies All Rights Reserved. All trademarks are the property of their rightful owners.